Continuing our adventure in family friendly purchases, sometimes I like to pick something simple like plain vanilla or black raspberry. I know alot of us have come to abhor the simplicity of just vanilla, but it can be a great canvas for sundaes. I take my first bite and something very sweet and silly is going on. I take another bite, and yeah, I think I taste waffle cone. Hehehehe, man, that's just silly. Yes, there's some vanilla going on, and maybe it will intensify as we dig further down, but right now, it's a fun, waffle cone vanilla flavor. It does show vanilla wafers on the container, so that's what they must have meant. On Second Scoop: To be honest, I'm really going to miss this one. I'm amazed at how well that eggy / hint of waffle cone flavoring just really sells this one in sundaes. Nice job Blue Bunny! 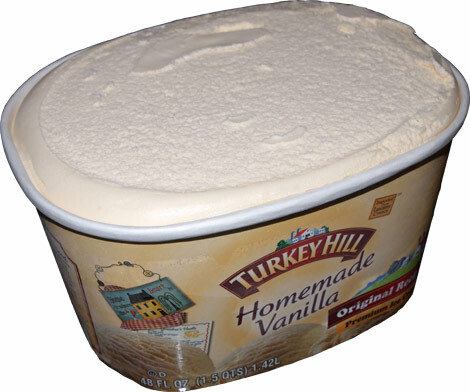 Now just for a quick comparison, let's look at Turkey Hill Homemade Vanilla ice cream. Now the Turkey Hill has much more of a traditional flavoring. The homemade seems to also translate to a creamier texture. It's not trying to be different like the Blue Bunny version. 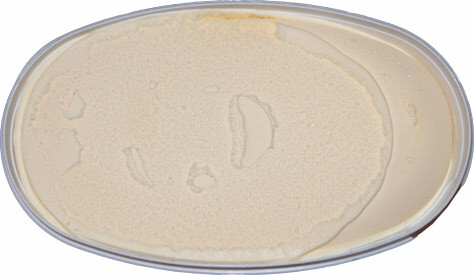 If you want a creamy vanilla ice cream, this will do just fine. 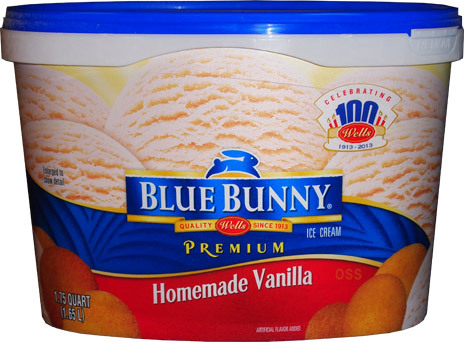 If you want to make a sundae that has a little extra flavor, I love that neat little kick of the Blue Bunny Version. The homemade versions feature buttermilk, right? I enjoy them more than the vanilla bean flavors, but love French vanilla the best. Amazing what egg hooks can do to improve texture. I'm pretty sure several of their flavors use buttermilk... oh, but this one does not. Their regular vanilla skips it too, only their french vanilla has it! Like you said, it's gotta be the egg yolk. Sweet Freedom? Oh man... that only means one thing, and I'm not thinking of anything related to calorie count. Watch out!